Do You Use Google AdWords to Boost Your Business? Businesses plunging into ecommerce in the 1990’s certainly faced many challenges. One of the greatest challenges? Finding new customers. Think about this for a moment……….Google did not exist back then. Let alone Google AdWords to help with your search marketing efforts. That’s right! No Google. Well, not as we know it today anway. 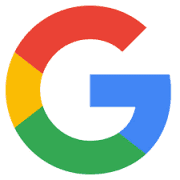 Larry Page and Sergey Brin founded the idea and concept for Google in 1995. Click here for a cool article on the founders from Wired magazine. An amazing American Entrepreneurial success. Massive success! It is hard to imagine going an entire day without using Google. We frequently assist small business owners with New Product Development. In particular with Ground Straps and Wire Harness Assemblies. However, developing the product is only half the battle. Marketing your product and business aggressively is critical. Entrepreneurs and small business owners must take full advantage of every resource possible. Especially in these competitive times. This post continues our blog series on B2B Marketing. 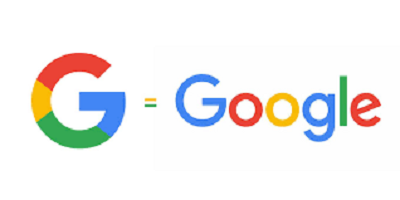 Can you imagine life now without Google? Nearly unfathomable. Try telling a high school or college student to do research without access to Google. Heavy odds they would be lost. To take it one step further, try telling an ecommerce company today that they cannot use AdWords. They would not have pleasant words for you (major understatement). Well, that was ecommerce in the 1990’s. Google changed the world and is now a verb (“Google it”). An essential function that millions of companies rely on daily. AdWords allows potential customers to find your website quickly and easily. When you conduct a search, the top words with an “AD” button next to the URL (or company website) designate an AdWords listing. Google AdWords runs as an auction. It does not cost a company a single penny to be listed in that position. You only bid to be there. A charge only occurs once an individual clicks on your ad. This is called “Pay-Per-Click” or PPC. You only pay when someone clicks on your ad. Confused? No problem. Plenty of outstanding resources exist that provide valuable information on how to execute PPC strategies. Search Engine Land: What Is SEM & Paid Search Marketing? Thank you for reading out post. This continues our blog series on B2BMarketing. Also, to learn more about Falconer Electronics, please click here. Lastly, let’s get social! 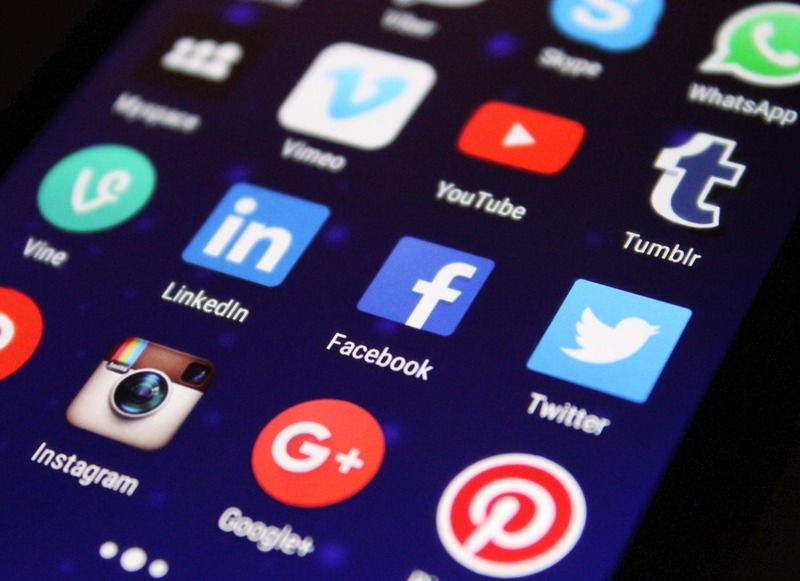 We would love to connect with you on Facebook, Twitter, Google+, and LinkedIn. https://falconerelectronics.com/wp-content/uploads/2018/07/Google2.png 225 225 Curt Anderson https://falconerelectronics.com/wp-content/uploads/2016/12/fei-blue-300x88.png Curt Anderson2018-08-07 06:32:542019-01-23 13:54:25Do You Use Google AdWords to Boost Your Business? The word “free” is always a draw to business owners. Especially when it is used in connection with advertising. Businesses utilize free advertising as much as possible. This is exactly why products have their logo as large as possible on their packaging. Therefore, if someone is using their product in public everyone will know what it is and what company it is from. In addition, is the way that people influence others by their decisions. If you are out with friends and the majority of them are ordering milkshakes, the idea to order a milkshake is now in your head. Yes, you can choose to ignore that idea. However, you want to fit in with your friends. Also, chances are you now want a milkshake. Just like with that meal with friends, Facebook is an entire social media platform based on influences. Not only are advertisements on a sidebar. They are also found within newsfeeds. Therefore, advertising is creeping into everyday interactions. Everyone that uses social media has found a GIF or Meme that they wanted to share with someone else. By sharing those with your friends you are also sharing the name of whoever posted it originally. Therefore, advertising for that person or business. Yes, it happens that easily. Every time we share someone else’s post it is like saying to all of our friends ‘I like this person. I like what they are saying. You should definitely check them out’. Due to this influence of others, businesses that post personable and relatable things will gain followers and customers. Also, the more traffic you can gain on your social media the more likely you are to gain traffic to your website. Also, by showing that your company is in touch with local activities you are showing that you are in touch with what your potential customers are interested in. One of the main issues that businesses have with websites and social media is time. Most business owners feel they don’t have time to devote to designing and running their own sites. However, Facebook is very simple to use. Also, it is not very time-consuming. One of the trends in social media is creating a social media presence for pets. Everyone has at least one friend that has created a profile for their dog or cat. If pets can become famous by their owners posting pictures and videos of them being silly and cute anyone can have an internet presence. For example, the internet sensation Grumpy Cat became famous because a family member of her owners posted a picture of her online. One picture set this cats future in motion. If people can create profiles for their pets anyone can create a profile. It is this availability that draws in users. Facebook makes it easy to set up a profile upon the initial sign in. Also, once you have an account it is easy to add personal touches like pictures and personal information. Furthermore, over time you can continue to add photos and videos while updating your information. Business owners have the option of being very involved in their Facebook postings. However, they also have the option of posting when it is convenient. Facebook gives businesses the ability to schedule posts up to six months in advance. Also, there is the added bonus of being able to edit a post even after it has been posted. This feature is helpful in case there is a change in a product. Therefore, a business owner can set up a reserve of posts during any free time they have. Also, they have the ability to go back into these posts and edit any information that needs to be changed or updated. Facebook has a feature for selecting Administrators to a specific page. Therefore, a single company can assign multiple people to write posts and run their page. By sharing this responsibility with others, a business owner doesn’t have to worry about scheduling all of the posts themselves. Likes, Shares, and Comments are what posting is for. These positive interactions are what make a page worthwhile. The more comments and shares a post gets the more interaction that a company has with potential customers. Therefore, the more posts a business has the more comments and shares they also have. Without being on social media businesses do not get that direct contact with their customers. Furthermore, an increase in connections will lead to an increase in profits. You can also visit our other social media sites below! Struggling with Internet Marketing and SEO? Overwhelmed? Frustrated? Do you find link building daunting? Well help is just a click away. Check out Brian Dean at Backlinko.com. Brian Dean is a MUST read for all small business owners. Especially for entrepreneurs attempting to tackle SEO strategies on their own. Brian Dean delivers an enormous amount of priceless information. 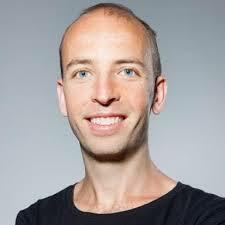 He is an SEO guru, particularly helping clients with link building strategies. Actually, we found executing SEO strategies with the guidance from Brian Dean invaluable. Since November 2017, our web traffic increased by over 400%. THANK YOU BRIAN!! He breaks down the process in easy steps. 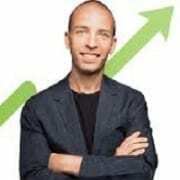 His posts include clear descriptions and photos as well as concise directions on how to achieve keyword ranking goals. Prefer videos over reading blog posts. No problem. Check out Brian’s extensive video library on his YouTube Channel. He provides all of this priceless information for FREE. FREE! Just Amazing!! We frequently assist small business owners with New Product Development, primarily with Wire Harness Assemblies. However, developing the product is only half the battle. Marketing your product and business aggressively is critical. Entrepreneurs and small business owners must take full advantage of every resource possible. Especially in these competitive times. That is why following strategies from experts like Brian Dean at Backlinko becomes so important. Finally, thank you for reading our blog on Brian Dean. Please check back for our continued blog post series on B2B Marketing. Also, please connect with us on Facebook, Twitter, Google+, and LinkedIn. Wishing you an ELECTRIC DAY! In 2008, when blogging was still relatively new, I purchased a book (pic below) about blogging. In attempt to figure out how to approach this new fad at the time. The title of the book, “ProBlogger: Secrets for Blogging Your Way to a Six-Figure Income“. Turns out blogging was not a fad at all and is here to stay. At least for the foreseeable future. 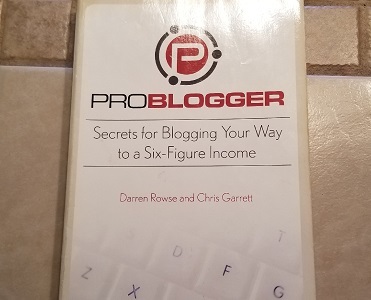 The author of that AMAZING book was none other than Darren Rowse, the ProBlogger himself. A gentleman from the “land down under“. Well to fast forward, Darren was a huge help then and even a bigger help today. Our team at Falconer Electronics owes a big thank you to Darren Rowse at ProBlogger.com. He is not only an expert blogger and author, Darren Rowse is an incredible educator and powerful resource. Tackling internet marketing and social media strategies can be challenging. Especially for a small U.S. manufacturer. Though we are far from blogging experts, we excitingly follow THE BLOG EXPERT to help achieve our goals. Thanks to following tips and advice from Darren, our website traffic increased by 400% since November 2017. Looking to take your blog to the next level? 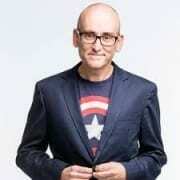 Darren Rowse delivers a wealth of information on his blog about……blogging. Thus, he is the ProBlogger. In addition to his expertise, his passion resonates with every post. For example, check out this link to our favorite post from Darren where he loaded this post with tons of helpful links: How to Write Great Blog Content. Also, simply follow Darren on Twitter to catch daily nuggets (along with his nearly 250,000 other followers). In addition, sign up for Darren’s email newsletter (along with his 300,000 subscribers). Especially since the ProBlogger offers an endless amount of tips, suggestions and advice to develop your craft. You will quickly become a blogging guru. Just Getting Started with Blogging? Looking to start a blog? Check out the ProBlogger “Start Here” page. Last but not least, check out The ProBlogger Podcast which offers a massive library with a selection that includes hundreds of podcasts. Here is an excellent podcast on Growing Your Blog’s Income. Thank you for reading our blog on ProBlogger. Most of all, we appreciate you taking time to read our recognition and SPECIAL THANKS TO DARREN ROWSE. Internet Marketing experts such as Darren help make our jobs much easier. This blog continues our blog series on B2B Marketing. Especially for those working on New Product Development. Also, check out our other recent blogs. Lastly, please connect with us on Facebook, Twitter, Google+, and LinkedIn. The internet has been around since the 80’s. However, blogging was first established in the mid 90’s. The term “blog” wasn’t recognized back then. Due to this, the first “blog” was a personal homepage of a college student. In the later 1990’s the term “weblog” was introduced. This term was a shorter version of the term “logging the web”. Additionally, we all know that wasn’t the last time this term would be shortened. Today we know these “weblogs” as “blogs”. There are numerous types of blogs. From personal blogs to professional blogs they all serve their own purpose. However, what is one thing that all blogs have in common? They are all trying to share some form of information. Also, what sets some blogs apart from others? The most obvious is if they can follow all of the general rules of blogging. Another sign of success for a blog is how many readers it has. Specifically, with a WordPress blog, there are two main categories that will lead to the best results, “Readability” and “SEO”. Readability is a very important aspect of a successful blog. When writing a blog, the main goal is to have others read what you are writing. In order to do that there are some guidelines that should be followed. Below is a brief description of each part of achieving high readability. The Flesh Reading Ease Test is affected by how easy your text is to follow and read. This goes along hand and hand with the copy score of your blog. What affects your Flesh Reading score? First off, your sentence length. Why would sentence length affect readability? Longer sentences mean extra words. Furthermore, these extra words are seen as fillers that are not needed. Along with shorter sentences, the Flesh Reading Ease Test is looking at the individual words in sentences. In blogging, using hard to understand words hurts you. Therefore, you want to keep all of your information as concise and to the point as possible. Furthermore, the Flesh Reading is hoping to encourage blogs written without the extra fluff. It is also encouraging you the writer to take the time to find the best way to talk about your subject. The number of words you use may seem like a trivial thing to think about. However, the more words you are using the longer you are taking to make your point. Along with the Flesh Reading Ease Test, shorter paragraphs are also ideal. Therefore, if you can use one sentence to describe your subject that is preferable to using multiple sentences. Why are transition words so important? Transition words help the flow of your blog. Instead of jumping from one thought to another, a transition word will help tie two thoughts or sentences together. Therefore, helping the reader to continue following the path that you are lying down for them. Also, the use of transition words helps you to really see if your sentences really fit together. If you cannot make a tie from one sentence to another there may be a need to rethink your sentence placement. Passive voice occurs if the noun or noun phrase that would be the object of an active sentence (such as Yoast SEO calculates your SEO score) appears as the subject of a sentence with passive voice ( The SEO score is calculated by Yoast SEO). In figure 1, we give more examples of passive voice and give better alternatives. The above is the definition of Passive Voice by Yoast SEO. However, what does it mean exactly? In our work with blogging, we have discovered that the simplest way to get rid of Passive Voice is to make your sentences in the present tense. Therefore, instead of using words that end in “ed” use their present tense counterparts. Below are some examples of this. This product can be bought in our webshop. Customers can buy this product in our webshop. The bags are checked by a security employee. A security employee checks the bags. The employees are informed about their financial contribution. The manager informs his employees about their financial contribution. All our posts are checked by a colleague. A colleague checks all our posts. As you can see from the examples above keeping your writing in the present tense is important. However, another thing that is just as important is to keep your point of view consistent. For example, this blog is written as if we are talking specifically to the reader, you. Therefore, you as the reader feel as if this more of a conversation than just cold instructions. Also, by keeping the same point of view throughout the entire blog you keep up that same flow that we spoke about previously. Much like readability, SEO is also important in blog writing. However, what exactly is SEO? SEO is an acronym for “Search Engine Optimization”. What does that mean exactly? Also, why is this important when writing a blog? In order to understand why it is important, you need to understand all of the pieces to achieve good SEO. Below we have broken down each of the aspects of SEO. What is a keyword? 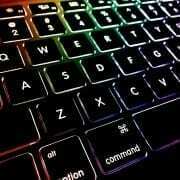 A Keyword is a single word or short phrase that you want to be the main idea of your blog. For instance, in this blog, our keyword is “blogging”. Therefore, this word is what the basis of our entire blog is on. 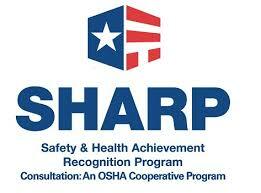 Other examples we have used in previous blogs are “LED Lighting”, “Certification”, and “Wire Harness”. The use of a keyword can be difficult. The SEO has certain criteria in order to keep all of their requirements in the green. Furthermore, with keywords, they require that your keyword is present in your title, at least one of your headers, and also be used in the first paragraph of your text. However, they do not want that one word used too often and will penalize you if you overuse it. Also, SEO prefers that when your keyword is used in your title and header that it be as close to the beginning as possible. Therefore, we usually try to keep our keywords as the first or second word of our title and we also try to place it in the first heading within our blog. Creating the perfect title can be a challenging first step. It is often helpful to write up some notes about what you want your blog to be about. After you have an idea of what your blog needs to say it will make writing the title and choosing your keyword easier. As we stated above, in the title you want to be sure to include your keyword. Also, if possible you want to keep it close to the beginning. Your title also needs to be long enough in length to meet the SEO criteria. That being said, you need to make sure that it isn’t too long. The best way that we have found to achieve the perfect length is to write your title then bring that title into the “snippet preview”. WordPress makes this part easy. When you copy your title into the previewer it has a color bar beneath it that will change as you add or take away words. A red bar means that you either have too few or too many characters. As you adjust your wording that color bar will hopefully change to green. First off, we should describe what a Meta Description is. The Meta Description is the blog equivalent to a blurb on the back of a book. This small snippet gives anyone that reads it an idea of what your blog is about. Also, you want to be able to draw in a reader, just like with a book. If your Meta Description isn’t interesting you will lose any potential readers before they even get to your blog. Meta Descriptions are used by search engines. This is also why you want to include your keyword in your Meta Description as well as the other places within your blog. There is a set length for a Meta Description of 160 characters including spaces and punctuation. Due to this specification, you want to keep your descriptions as short and to the point as possible while still providing important information. Also, you want to do all of this while still drawing potential readers to your blog. Finding that balance is important to having a successful blog. Everyone knows that we live in a visual world. Pictures and videos draw in an audience. However, you don’t want to just put any picture or video on your blog. You want to have images that are related to your subject. For example, if you are writing a blog on sharks. You would not want to include pictures of your best friend and their dog at the park. The same goes for any videos you want to include. Therefore, any pictures or videos that you use need to be applicable to what your blog is about. If you are using a YouTube video check the suggested videos that will come up after your chosen video. There are times when the suggested next videos are not professional in nature. Due to their content, they could affect the brand you are trying to establish, therefore, affecting the view your potential customers have of your business. The timing of your video is important as well. You do not want part of your video cut off due to the version you’re using. Also, be aware of the quality of your video. If the picture quality is low or the volume is problematic no one is going to want to continue to watch your content. There are two different types of links you want to include in your blogs, internal and outbound links. What is the difference between them? These are links that go back to another part of your own website. Therefore, a link to another blog on your website, a page of your website, or a picture or video on your website. Importantly, it is a link back to another part of your own website. Outbound Links are links to anywhere other than your own blog. It can be a link to reference website, your own social media, outside pictures and videos, or to an outside website or blog that is applicable to what you are blogging about. However, you want to be careful when using links to outside websites that are not under your control. There is the potential that these sites can be corrupted, deleted, or that their content will change to no longer apply to your subject. Also, if you choose to use a link to a video you want to be aware of the factors we discussed previously. When writing a blog, it is important to say everything that you feel is important to your subject. Whether that is facts, details, or any extra information that you think would interest your audience. 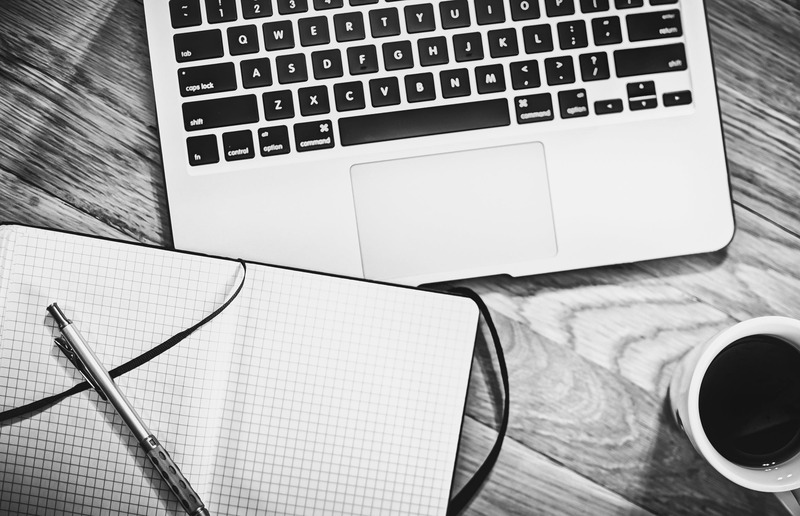 You want to keep your blog informative but also, interesting to your readers. SEO is concerned about how many words you use. The ideal minimum of words SEO likes is 300. That does not, however, mean that you can’t go over that amount. However, you want to continue to make sure that your content continues to be relevant to your subject. Also, each of the points in our “readability” section will help your SEO. The readability and SEO work together to give you guidelines for creating a blog that your audience wants to read. When using images in your blog SEO wants those images to contain “Alt Texts”. How can you include these however if you don’t know what they are or what they do? Alt Texts should be a brief description of your image. These descriptions are actually helpful to any of your audience that has visual difficulties or impairments. You want to make sure that any reader of your blog can get every point you are trying to make, even with the images that you have chosen to use. Choosing a category is important. This is stating that that is specifically what your blog is about. Again, if you think of the example of a blog about sharks you could categorize that as being “Sea life”. Therefore, if you continue blogging about different sea life you can have them all in the same category. This makes it easier to search through your blogs. Also, this is helpful when you want people to be able to look up your blogs by their broader subjects. You want to include tags in your blogging. These tags target specific pieces of your blog. While the “category” of your blog designates your entire blog as being about a specific thing a tag is like the individual index within your blog of important points. Links are helpful to the success of your blog because they create more roads back to you. If you can get other websites to link back your site or blog that is another road back to you. Picture the internet as a town full of roads and each house and building is a website. The more roads to your building the easier it is for your customers to arrive at your door. However, each webpage, blog, video, and product that has a connection to your website is also a road to your door. Each connecting link to and from different sites is another connection for potential customers and readers to find you. Thank you for reading our “WordPress Blogging Guide for Manufacturers”. For more information, check out our blog series on New Product Development. In addition, check out blog series on B2B Marketing. If you are new to Internet Marketing and Social Media for your business, you must follow marketing guru Neil Patel. Additionally, even if you are a seasoned veteran with online marketing strategies, you should still follow Neil Patel as well. You will find information from Neil Patel priceless! A great deal of thanks goes to Neil Patel for offering guidance on blogging. By following his easy-to-understand blogging strategies, our website traffic increased 400% since November 2017. Neil Patel offers an overabundance of FREE tips on his blog and email newsletter as well as all of his social media platforms. Neil delivers a constant and consistent treasure of information. Why is an electronics manufacturer blogging about Neil Patel? We are glad you asked. As a small business, many of our customers are also small businesses. We work closely with manufacturers who develop and market innovative new products. Many small businesses struggle with tackling Internet Marketing strategies. These strategies are new to our team as well. However, as we have plunged into E-commerce and Inbound Marketing, we find that Neil Patel provides invaluable information. Our recent blog series on New Product Development discussed individuals and companies bringing a new product to market. Unfortunately that is only half the battle. Marketing the product as well as creating a sustainable and profitable business model solidifies the new product. Neil Patel certainly provides the necessary tips and strategies to help you hit your goals with bringing a new product to market. 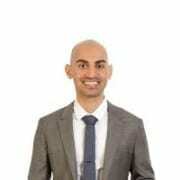 Thank you so much for reading our blog post on Neil Patel. Please check out our blog series on B2B Marketing. Wishing you an ELECTRIFYING DAY!